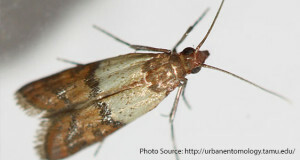 Indian Meal moths can be an annoying issue, which homeowners and even shopkeepers face quiet many times, this is when pest control would come in need. The larvae of these insects can infest a range of dry food items including birdseed, dry soup mixes, flour, rice, nuts, cereals, dry fruits and more. Also, the dried flower and wreath arrangements at your place can be their favorite breeding grounds. Experts say that this pest is the most commonly occurring one in stored-foods at grocery stores and homes, this is when pest control would come in need. In order to keep Indian meal moths away, try storing food products in sealed or air-tight glass or plastic containers, which can ensure decreased chances of re-infestation. The pet food stored in the garage must be checked regularly, as this is a favored source for growth. The containers should be clean and tightly sealed. Consider storing the food in a refrigerator to increase its shelf-life and to ensure the minimum chances of infestation. Begin by inspecting and paying careful attention to food that has remained in your cupboard for long periods of time and is particularly sealed loosely or is thinly wrapped. Food that is infected must be discarded as soon as possible. The shelves and gaps in the cabinets must be closely inspected for any infestation. Try cleaning the racks with soap and water and sealing any gaps, holes and crevices is mandatory. Having regular Pest Control services will help get rid of these insects. In case, you have noticed Indian Meal moths, which are not going away with the usual control methods, then it’s always advised to contact professional pest control experts for help. The company where experts can help you in keeping this annoying problem away is what Swatter Pest Solutions LLC, is all about. Experts here can assist and give professional tips which can ensure not just wipe away but no chances of recurrence. Licensed and trained experts here have all the necessary tools and equipment to accomplish the job efficiently. So, trust on Swatter Pest Solutions LLC, as your reliable and safe friends to keep this pest away from your home and property.